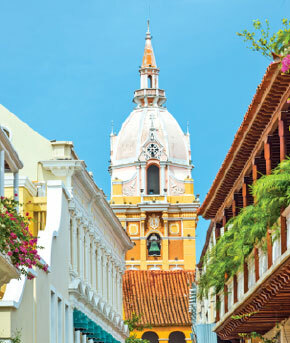 Air Canada Vacations has announced the addition of Cartagena, Colombia, to its winter line up. The new, non-stop YYZ-CTG flights will depart Toronto weekly onMondays starting 18DEC, 2017- 9APR, 2018. Flights will be operated by 136-seat Air Canada Rouge Airbus A319 aircraft offering two classes of service: Premium Rouge and Economy. “We are thrilled to offer our customers the opportunity to discover this vibrant and eclectic destination, rich in history, art and culture. We believe this unique blend will appeal to a wide array of travellers, providing them with both an authentic experience and modern comfort,” said George Platanitis, VP, Sales & Partnerships of Air Canada Vacations. The operator will offer 11 hotels, located throughout the main areas of the city: Bocagrande beach, the Old Town and the northern area. Accommodations will offer a choice of meal plans, as well as all-inclusive options.